The 2019 Carmel Bird Digital Literary Award is now open for submissions. 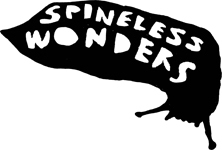 Since 2011, Spineless Wonders has auspiced an award for the best short fiction writing in honour of foremost Australian author, Carmel Bird. Finalists chosen by each year’s judging panel are offered publication in either our bi-annual anthology alongside invited writers or are published as part of a digital singles series. The award is open to people residing in Australia and to Australians living overseas. From December, 2017, the award will known as THE CARMEL BIRD DIGITAL LITERARY AWARD. Read below to find out about previous Carmel Bird Awards winners, finalists and the short fiction anthologies and digital singles series. Check the Opportunities tab to find out about this current year’s award. The inaugural 2011 Carmel Bird Award was judged by Sophie Cunningham who selected Susan McCreery’s story, ‘The Gardener’ as the winning entry and commended Claire Aman’s ‘The Gauls Must Be Crazy’ and S.J. Finn’s ‘Paper Anniversary’. All three pieces, along with those of other finalists appear in Escape, edited by Bronwyn Mehan. The 2012 Carmel Bird Award was judged by Amanda Lohrey who selected Felicity Volk’s ‘Itte Misse Est’ as the winning entry and commended Marian Matta’s ‘Danny Boy’ and Joanna Atherfold Finn’s ‘Jesus Sandals and Anchovette’. The winner and eleven finalists were all published in the Amanda Lohrey Selects digital singles series. The 2013 Carmel Bird Award was judged by Angela Meyer who selected Alex Cothren’s ‘A Cure’ as the winning entry. All finalists, along with invited contributors appear in The Great Unknown, edited by Angela Meyer. In 2014, The Carmel Bird Award was judged Michael McGirr who selected Marjorie Lewis-Jones’ story, ‘We’re All Travellers Here’ as the winning entry. All twelve finalists are published in the Michael McGirr Selects digital singles series. The 2015 Carmel Bird Award was judged by Zane Lovitt who selected Amanda O’Callaghan’s ‘The Turn’ as the winning entry. The winning story along with those of other finalists and invited contributors are published in Crimes Scenes edited by Zane Lovitt. Carmel Bird is a writer of both fiction and non-fiction. Her first collection of short stories appeared in 1976. Since then she has published novels, essays, anthologies, children’s books and also manuals on how to write. In 2016, Carmel was awarded the Patrick White Literary Award. Spineless Wonders is proud to have published Dear Writer Revisited, a revised and updated edition of Carmel’s classic book for writers and My Hearts Are Your Hearts, a collection of twenty new stories along with an essay on how they were written.